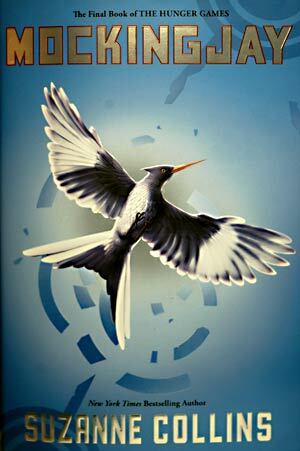 ﻿Now it comes to pass, the long wait to have a grab of the last book that is the Mocking Jay – the last book in the trilogy of Suzanne Collins. Lucky me without knowing it that the book launching was ongoing at Bestseller Robinson Ortigas, it is a real treat – a fan like me being one of the first to have a hand in this wonderful and much awaited book. The story is so fast and furious that before I knew it I have finished reading it. This is how good and engaging the story is. Once you are immersed in the world of Panem there is no going back. You become one of the district 13 wanting to topple the Capitol and energize every time you hear or see the Mockingjay (Katniss Everdeen) forwarding your dream for freedom. This is the power of symbol at work. In the story the media as the medium for showing and spreading the message of the Mockingjay is what sticks to mind. It shows the power of communication and how to make it attached to the viewers and listeners. It shows how to create a lasting change once a group has identified a rallying point to a certain cause. Creating a perception – a winning perception compared to its distant reality, this is what catapulted district 13 to victory. In our present day, advertising and many forms of media dominate our perception of reality. Understanding that it is not reality is very important. Having a critical mind will help in determining this. Indeed, finishing the book is one memorable event for me as it reinforces some of the thinking I have with media, communication and perception. It is hitting two birds in one stone; you are entertained and educated at the same time. I hope that the author has other brilliant plots and stories under her sleeves for she is a great writer to have.